Liverpool goalkeeper Loris karius has spoken out after Saturday's bad day in office performance against Real Madrid in the Champions League final. The goalkeeper was dsappointed at himself and he feels he let the team down. 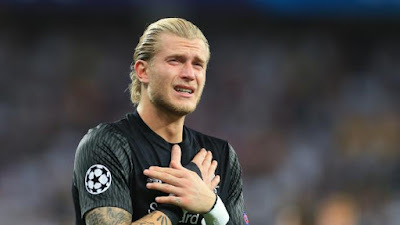 In a match where he was suppose to be Liverpool's saviour, he ended up ruining the game and it cost them the Champions League trophy. After the game, he had an interview with talkSPORT, and this were words. Speaking about how he felt in the dressing rooom afte the game, he said. 'Of course, everyone tried to cheer me up, but there was just silence everywhere because everyone was really disappointed. We hope this won't cost Karius place in the Liverpool squad come next season and we hope he did get over it on time.